So whenever we summon flying or cavalry Heroes, their trusty steeds come with them, right? That’s right. Whether it’s a horse, a pegasus, or even a wyvern, whatever they rode on in their home world will come with them. You don’t need to worry about that—I’ve yet to hear of any mistakes happening. And you know, there are some Heroes who are still capable fighters even without their horse or whatever. Oh no, you don’t think— Oh no! Commander, I think we’d better keep this conversation under wraps. You can use flying and cavalry allies to build a team of one type and carry out devastating strategies that leverage their high mobility. Here, we’ll introduce some ideas for flying and cavalry teams. 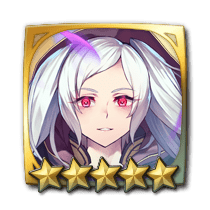 Give your attackers the Iote’s Shield seal, and they’ll be able to withstand weapons that are effective against flying units. Robin: Fell Vessel is a superb choice for this composition, as her Dragonskin nullifies “effective against flying” bonuses, and she can counterattack from any distance. In addition to her skill that nullifies “effective against flying” bonuses, she also has the powerful Expiration skill, which enables her to counterattack from any distance. 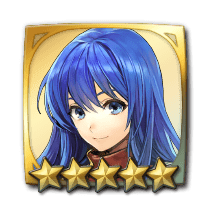 Caeda has the Wing Sword weapon skill, which is effective against cavalry and armored foes, while her Fortify Fliers skill boosts the Def and Res of flying allies, making her a powerful asset. Cavalry teams have the greatest mobility of all unit-type-based compositions. Focus on skills that boost the Atk of cavalry units specifically to rush your foes down and deal them a devastating blow before they have the chance to react. 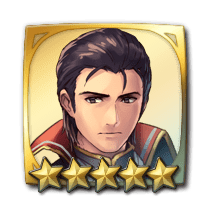 Reinhardt has the powerful Dire Thunder weapon skill, which can attack twice, as well as Goad Cavalry to boost the Atk and Speed of cavalry allies. 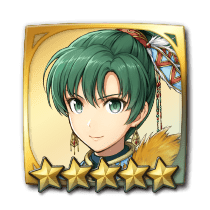 Lyn wields Mulagir, a powerful weapon against tome foes, and she also has Sacae’s Blessing, which prevents her from receiving counterattacks from foes using swords, lances, or axes.